[New York, NY – December 1, 2017] Grammy Award-winning singer / songwriter Miguel has released his highly anticipated new album War & Leisure today, via ByStorm Entertainment / RCA Records. In addition to the album release, Miguel has also shared the official video for “Now,” featuring footage from his recent performance and discussion at the Adelanto Detention Center interspersed between clips of blue-collar American landscapes. War & Leisure is Miguel’s fourth studio album, and the first since the critically acclaimed Wildheart. 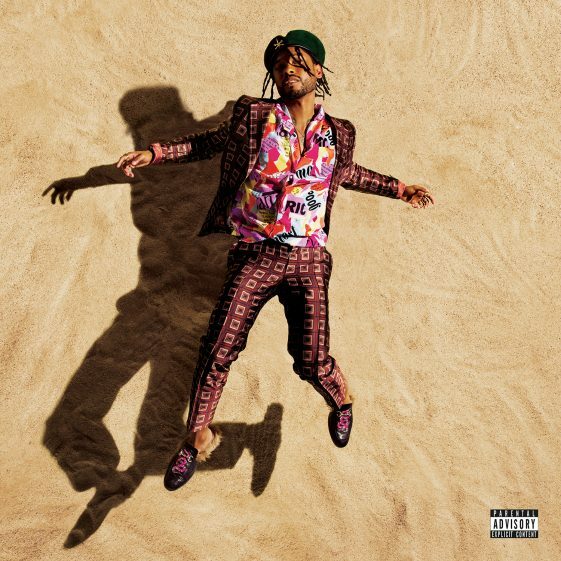 The mesmerizing 12-track project is a meditation on the duality of our times that Miguel has described as his “most upbeat” album, equipped with features from J. Cole, Rick Ross, Travis Scott, Kali Uchis, Salaam Remi, and QUIÑ. Miguel also recently announced the North American tour in support of his new album. The 35 date War & Leisure Tour kicks off February 22nd in Portland, Oregon, hitting major markets in the US and Canada throughout the Spring and concluding on April 12th in Berkeley, CA. TDE’s SiR & NonChalant Savant will join Miguel on the road as opening acts for all North American dates. Tickets go on sale December 4th starting at 10AM local in select markets. VIP packages are available and can be ordered at officialmiguel.com and through Adventures in Wonderland. Every online pair of tickets purchased includes one physical or digital copy of War & Leisure. Earlier this month, Miguel released the tropical-haze infused single “Pineapple Skies,” along with new song “Told You So,” which he performed both at the 2017 Victoria’s Secret Fashion Show. Miguel kicked off the campaign earlier this year with the reactive first single “Sky Walker” featuring Travis Scott, which has garnered over 100M streams worldwide and continues to climb the charts at radio. Recently, Miguel performed an acoustic version of “Sky Walker” and previewed album cut “Come Through And Chill” on The Late Show With Stephen Colbert. Last night, he also performed “Sky Walker” on The Tonight Show Starring Jimmy Fallon. Watch all the links below. Miguel also joined Mexican pop singer Natalie Lafourcade on the song “Remember Me” from the Pixar record-setting film Coco, which landed #1 at the box office over Thanksgiving, grossing over $71M on the opening week, putting it on track to become another Pixar classic. The film already claims the title as the highest – grossing animated movie ever in Mexico based on local currency sales.